In response to the March 2017 Special Notice on Engagement issued as part of FINRA360, FINRA received a number of comments and suggestions regarding the effectiveness of communications with and education of firms, including ways in which FINRA could enhance its engagement with member firms. After careful review of the comments and suggestions received, FINRA is taking a number of actions. Most commenters were complimentary of the breadth and timeliness of educational events for member firms. In terms of enhancing educational programs, FINRA received comments requesting that FINRA add programs that would fit between the basic boot camps and the more advanced Certified Regulatory and Compliance Professional (CRCP®) program. Similarly, some commenters requested more specialized topics including cybersecurity. In response to this feedback, FINRA has hosted a Blockchain Symposium, introduced Anti-Money Laundering (AML) Half-Day Seminars, will host a conference addressing registration and disclosure issues and announced that it will host a Cybersecurity Conference again in 2018. FINRA received comments requesting that FINRA programs be eligible for relevant continuing education (CE) credits. FINRA conferences and its CRCP program have offered Continuing Legal Education (CLE) for several years. In 2017, FINRA began offering Certified Financial Planner (CFP) CE for all of its conferences and the CRCP program. In addition, more than 60 e-learning courses became eligible for CFP CE credits in May 2017. A few commenters suggested that FINRA should reduce the cost for its events. In response, FINRA will significantly lower the small firm registration fee for all conferences beginning in 2018. In addition, FINRA announced that it will increase the number of small firm scholarships to its CRCP program from three to five in 2018. In May 2017, FINRA introduced a compliance calendar to help firms keep track of not just upcoming filing requirements and other significant deadlines, but also educational opportunities. Based on feedback heard from the industry and from the Special Notice, FINRA is in the process of adding a number of enhancements to the compliance calendar, including the ability to add an event to a personal calendar, email an event and export a month’s events, as well as adding a new “Rule Filings” category to the calendar. In addition, we are developing a calendar with events specific to a firm, such as reporting deadlines, which will be available in the Firm Gateway in early 2018. FINRA also introduced in May 2017, the FINRA Compliance Vendor Directory, a convenient option for firms searching for vendors that offer compliance-related products and services, such as compliance consultants, cybersecurity experts and exam prep resources. Firms can compare multiple vendors side by side. At FINRA’s Small Firm Conference in November 2017, CEO Robert Cook announced that FINRA is preparing to launch a Small Firm Helpline in January 2018 to provide an additional resource for small firms to call with questions and receive help from FINRA. Some commenters suggested that it would be helpful to receive immediate alerts of actions such as press releases, Regulatory Notices, rule filings and requests for comments. FINRA’s website includes RSS feeds that allow for immediate notification when new information is posted on certain pages. FINRA has reorganized and updated the subscription webpage for the industry to better present options to firms and others. Launching a Small Firm Helpline as an additional resource for broker-dealers that need help identifying the appropriate FINRA contact for assistance, navigating FINRA’s systems, finding online resources or have general questions regarding deadlines/effective dates for rules. Increasing the number of small firm scholarships to the CRCP program from three to five beginning in 2018. Offering Certified Financial Planner (CFP) continuing education credits for FINRA-sponsored conferences, the CRCP program and more than 60 e-learning courses. Reducing the registration cost of FINRA conferences for small firms. Offering more specialized topics including new AML Half-Day Seminars (Dallas – October 19, 2017, Boca Raton – November 7, 2017, New York – November 13, 2017), a Blockchain Symposium (July 13, 2017) and Cybersecurity Conference (February 22, 2018). 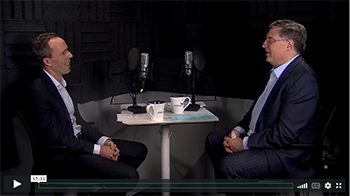 Releasing a three-part video series that addresses common deficiencies seen during examination of firms’ cybersecurity programs. Implementing links between FINRA Regulatory Notices announcing SEC approval of a proposed rule change and the rule filings themselves, including any FINRA responses to comments received during comment process. Instituting a process by which FINRA will post a link between Regulatory Notices soliciting comment on a proposed rule change and FINRA’s response to the comments received. Adding rule effective and implementation dates to FINRA’s Compliance Calendar. Revamping finra.org to better highlight Report Center tutorials. Promoting availability of RSS subscription feeds to receive real-time alerts for FINRA news releases, Regulatory Notices, Requests for Comment and rule filings. 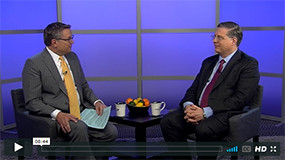 Promoting availability of FINRA email subscription lists. 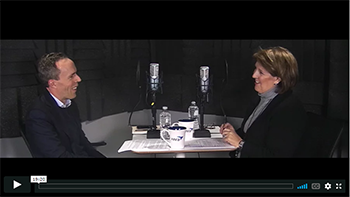 Listen to FINRA’s Executive Vice President of Board and External Relations Marcia Asquith, talk with FINRA’s head of communications, Josh Drobnyk, about the first phase of changes to FINRA’s advisory committees to improve transparency and the committees’ effectiveness.